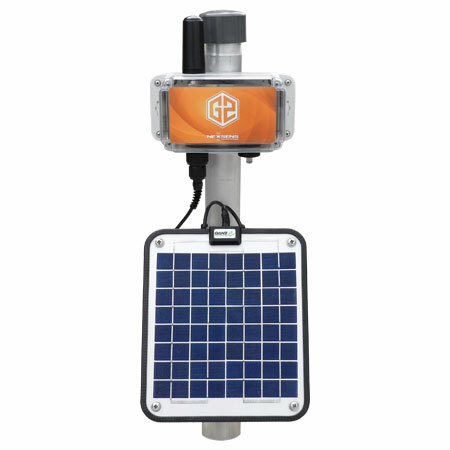 G2-INW Water Level & Quality Monitor - NexSens Technology Inc.
Connect a Seametrics Smart Sensor to the G2-INW's connector and let the system autodetect the pre-configured parameter output and begin recording. No need to manually configure the logger to record the correct data. An embedded cellular modem provides live, customizable water level and quality notifications on a mobile device or computer. The G2-INW incorporates logger, transmitter, solar power, and online data management into a streamlined design. All equipment comes pre-mounted to a 2" NPT MAST. This simplifies setup and maintenance and allows the system to be used in a wide range of applications and environments. Simply connect the Seametrics Smart Sensor and the G2-INW begins recording and transmitting data. No need for a site visit to make configuration changes. Queue the commands online and the remote G2-INW will be configured on the next transmission connection.